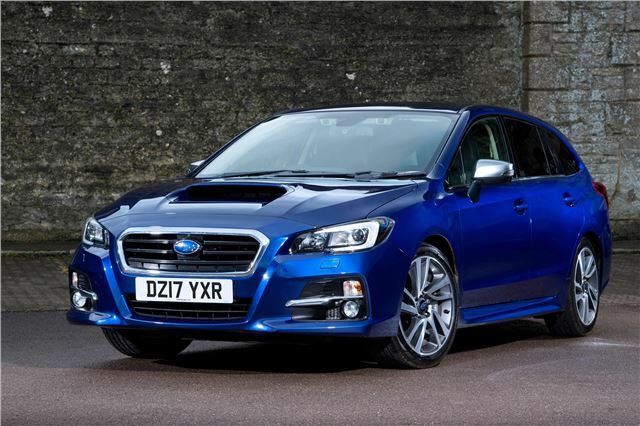 The 2017 Subaru Levorg is an oddball car, but it’s exactly what some people want. If I’m asked for a four wheel drive automatic station wagon with a petrol engine under £30,000 then there isn’t much else to drive the dogs around in. 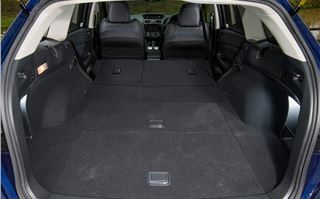 With a diesel engine, you could go for the excellent VW Golf Alltrack and SEAT Leon Xperience, or a Skoda Octavia or Ford Mondeo AWD estate, but from April, on top of their emissions disadvantages, diesels lose their tax advantage. Over 2016/2017, its comparatively high CO2 of 164g/km meant an annual VED of £180. For cars bought from April 2017 that drops to a uniform £140, same as almost everything else under £40,000. 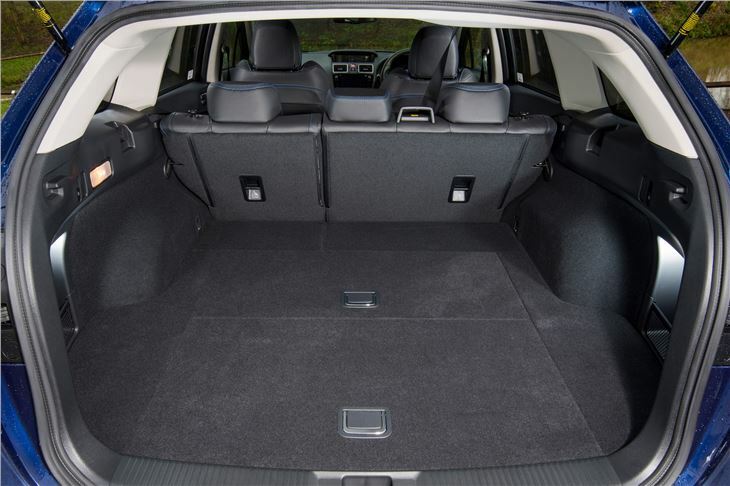 The first year CO2 hit of £500 is absorbed into the Levorg’s price that has risen to £29,680, though that figure now includes some useful extra safety kit. EyeSight is Subaru’s driver assistance system that acts as a ‘second pair of eyes’ for drivers. Instead of using radar (that can be fooled), Eyesight employs a dual camera system. These monitor and identify the shape of hazards up to 110 metres ahead. Pre-Collision Braking alerts the driver to a potential collision using a visual and audible warning. 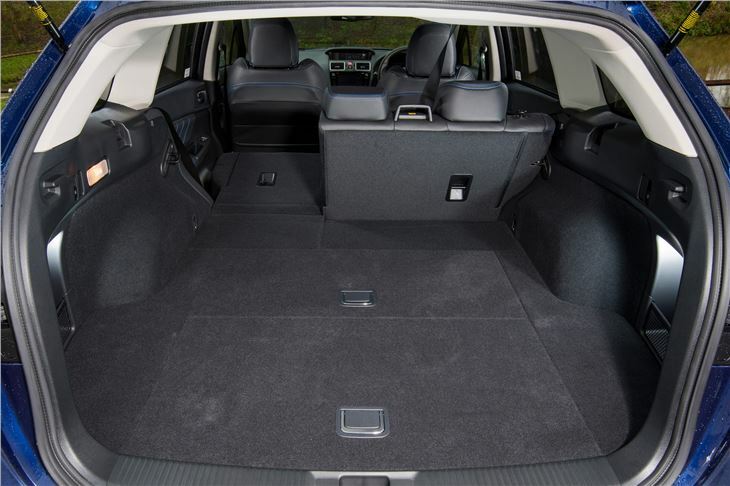 If he does nothing, the car brakes to a standstill at up to 28mph, or slows to reduce the severity of an impact from higher speeds. If he (or she) brakes but does not apply enough pressure, the system will increase braking force for them. Pre-Collision Throttle Management works by notifying the driver if he/she selects drive instead of reverse and the car is parked facing an obstacle. The system also cuts engine power to help avoid a frontal collision. Adaptive Cruise Control adjusts vehicle speed to maintain a set distance from the car in front. Lane Departure and Sway Warning alerts the driver with if the car sways or departs its lane without indicating. Lane Keep Assist offers gentle steering control if the car is about to deviate from its lane at 40mph or above. Lead Vehicle Start Alert prompts the driver with a warning that traffic ahead has started moving. 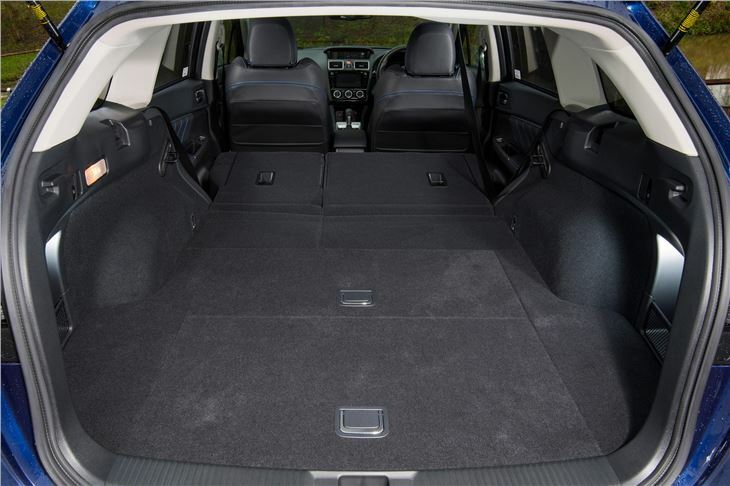 This is additional to the kit in Dan Powell’s original test of the 2015 Levorg 1.6iGT. 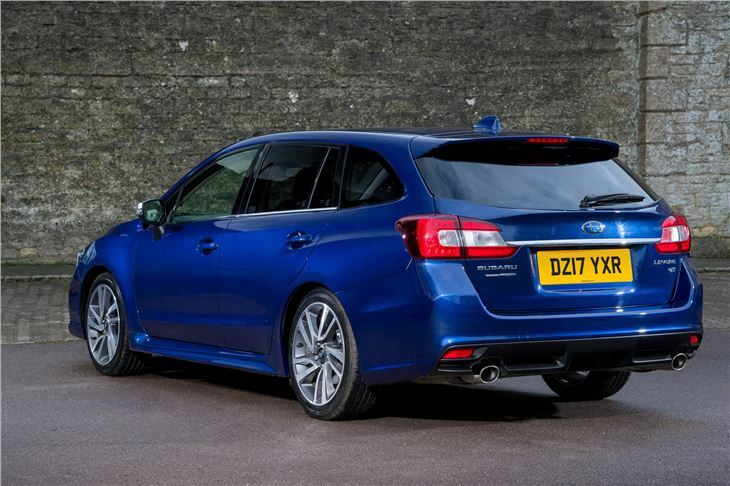 The 2017 Levorg also has Subaru Rear Vehicle Detection (SRVD) that helps the driver change lanes on the motorway safely or detects hard-to-see hazards when completing low speed manoeuvres. 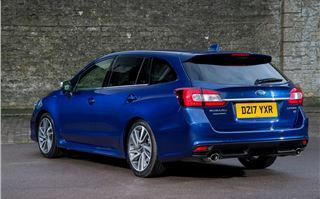 This is a radar-based system, with radars fitted under the Levorg’s tail lamps, detecting vehicles to either side of the car. 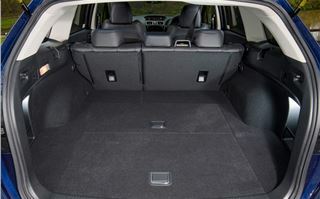 It offers blind spot detection, lane change assist and rear cross traffic alert. 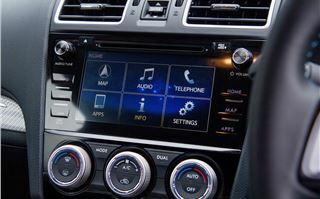 Subaru’s latest Starlink satnav and audio system is controlled via a high-resolution 7-inch touchscreen with functionality similar to a smartphone, such as swiping and pinching-in and out to zoom on map displays. 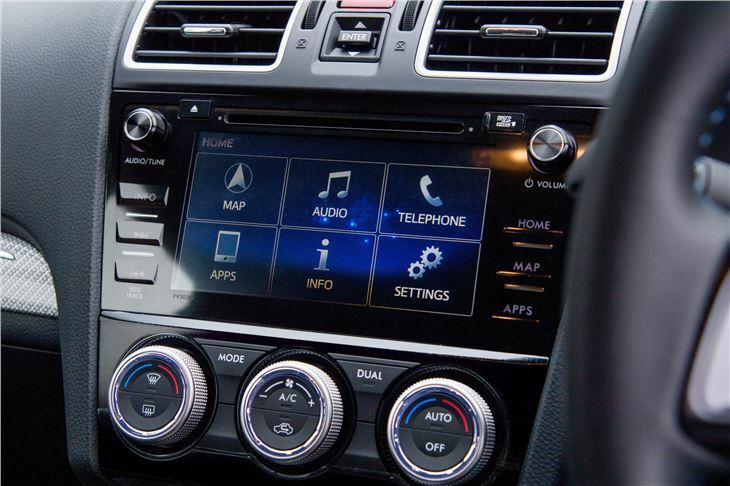 And it has voice control, activated by pressing a button on the steering wheel and issuing verbal commands to make a phone call or set a destination in the navigation system. With the aid of a turbo the 1,600cc flat four ‘boxer’ engine punches above its weight to deliver 170HP from 4,800rpm and 250Nm torque from 1,800rpm. 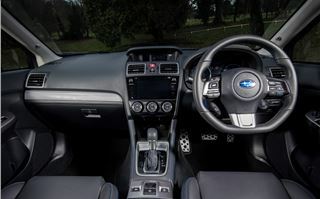 This is fed through Subaru’s torque-converter chain-driven ‘Lineartronic’ CVT transmission to the four wheels through shafts all on the same plane, giving a low centre of gravity. For a 1.6 it gets a move on, pulling 60mph in 8.6 seconds and topping out at 130. But it’s a little bit thirsty at 39.8mpg combined (though that is a real world figure). And the CVT can bog down if you brake hard for a kink then immediately try to accelerate out of it. Nevertheless, it steers well, it handles well and there’s pleasure to be had from driving it. Horses for courses. People want cars for different reasons. 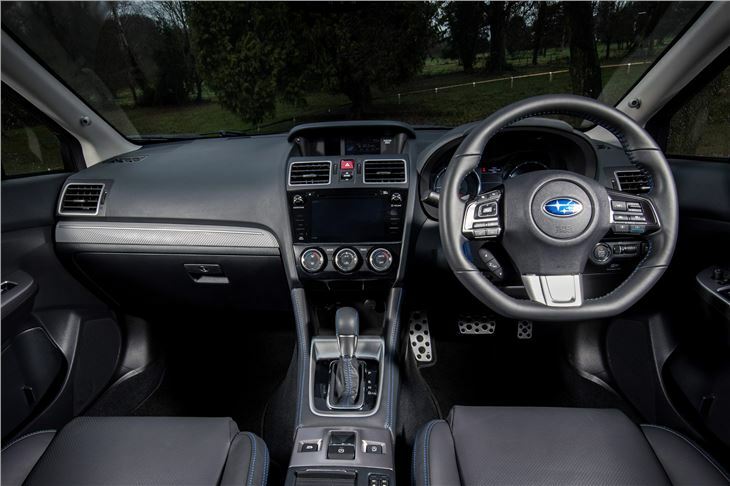 If you’ve got dogs, live in the country, need four wheel drive, want an automatic and don’t want diesel, the Subaru Levorg was made for you.